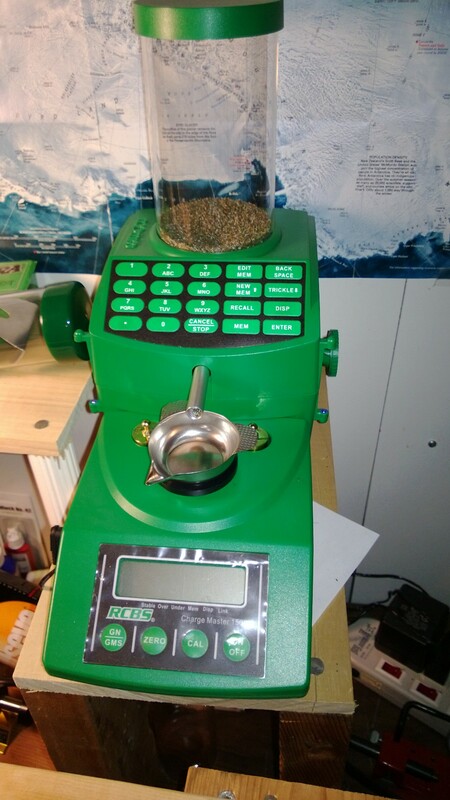 Of all steps one must perform to load for high precision shooting, powder measurement can be among the most time consuming. Pistol powders consist of tiny flakes that can be very accurately metered by volume. However, Varget, which is insanely popular with the long distance shooters, is an entirely different beast. Its sticks are big, they don't pack very consistently, and as a result most volume-based powder drop schemes fare quite poorly. Enter RCBS Chargemaster. This system consists of a combination of scales and the trickler and it dispenses the powder by trickling it into a pan on the scales. The flow is cut when the scale gets to the programmed weight. Chargemaster has a street price of $350. The idea behind the product is solid, and I ran a few experiments with the Chargemaster to see how precisely it measures Varget. As you can see, if you pour whatever it metered right into the case, the results aren't super impressive. 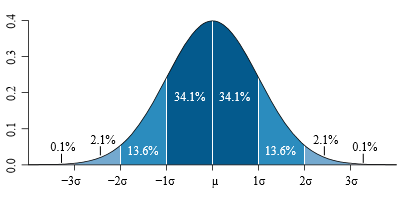 The standard deviation is roughly 0.11 grain, which means that the charge will almost certainly be between -0.33 and 0.33 grain around the average, with the total span of 0.66. That's over half a grain. The standard deviation drops about 2.5x, so the charges will now differ from the average by less than 0.15gr. Still quite a long way from drop and trickle method, which has the dispersion half that, but much better than unfiltered results. The disadvantage is a very high rate of discards - to get 20 measurements that registered at 38 on RCBS scale I had to measure 33 samples - 50% more! A well known way to improve the accuracy of Chargemaster with Varget is to stick an inch-long segment of a McDonalds straw inside the feed tube. The tube is threaded, and the claim is that threads cause Varget sticks to bunch up at the end and drop in clumps. This causes the charge to go over the desired weight. McDonalds straw is just the right diameter - it covers the threads, and eliminates the clumps. It took me quite a while to actually get to McDonalds, but finally I made myself find one. It took me a while to explain the salesman that I just want iced coffee - no flavors, no cream, no calories - :-) - but eventually I got away with a cup of brown liquid and, most importantly, the straw. As you can see, the trick worked - far fewer charges went overweight (only four), and a significant improvement in standard deviation, which was essentially halved. Unfortunately, while it made for a lot fewer discards, the accuracy of the acceptable loads did not improve. Overall, it is an interesting concept. In terms of accuracy, a Chargemaster with the straw mod is much more accurate than a regular powder measure with Varget, but much less accurate than the drop and trickle technique. In terms of speed, it takes roughly 10-15 seconds to drop a charge with it. This is roughly equivalent to a drop and trickle, but of course much slower than a simple drop. Given the price, the speed, and accuracy, I recommend a drop and trickle technique with a quality balance scale and a cheap powder measure over Chargemaster.